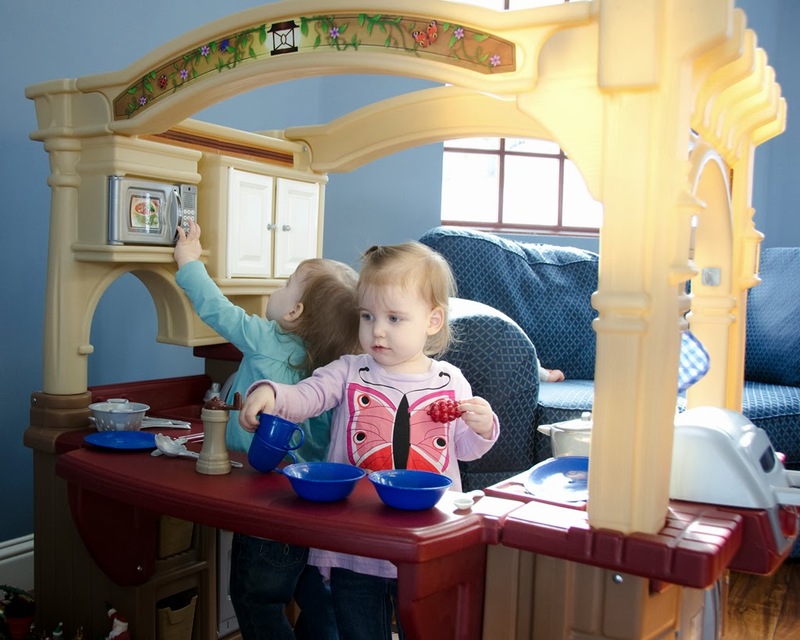 We went up to a friend's house on Monday and she has this awesome play kitchen. The girls had a ball! I loved the play kitchen we had. It lasted for years! best toy ever.